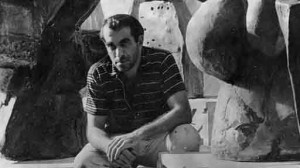 Peter Voulkos (1924-2002) grew up and studied art in Montana, then moved to Oakland, California to attend the California College of Arts and Crafts, where he received his MFA in 1952. 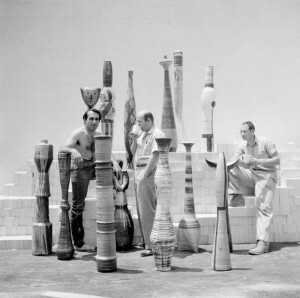 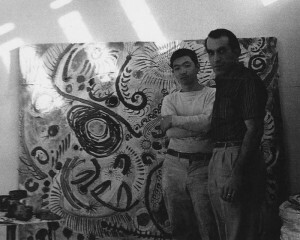 In 1953 Voulkos was invited to teach ceramics alongside figures such as Merce Cunningham and John Cage at the experimental Black Mountain College in North Carolina. 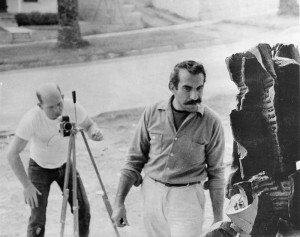 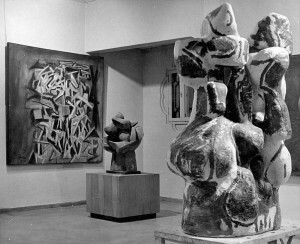 Like Cage, Voulkos was inspired by Eastern philosophy, particularly Zen Buddhism, which privileges meditative and repetitive motions in art production. 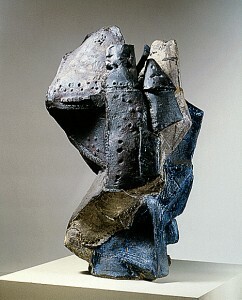 Voulkos’s approach to ceramics was to combine large slabs of clay that generated weighty, yet seemingly spontaneous, sculptures. 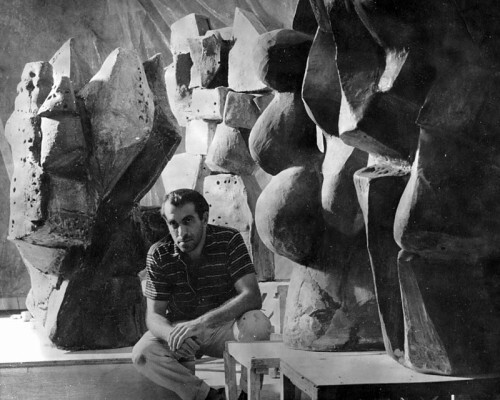 Teaching was an important complement to Voulkos’s artistic practice, and he mentored several generations of artists.